The David Byrne concert in Boston on Tuesday night was as great or greater than any fan (and I am a big fan) would expect. But another great thing about the concert was being exposed to the music of Benjamin Clementine, who opened up for Byrne. After the last presidential election, the department switched sides in the case, Husted v. A. Philip Randolph Institute, No. 16-980. 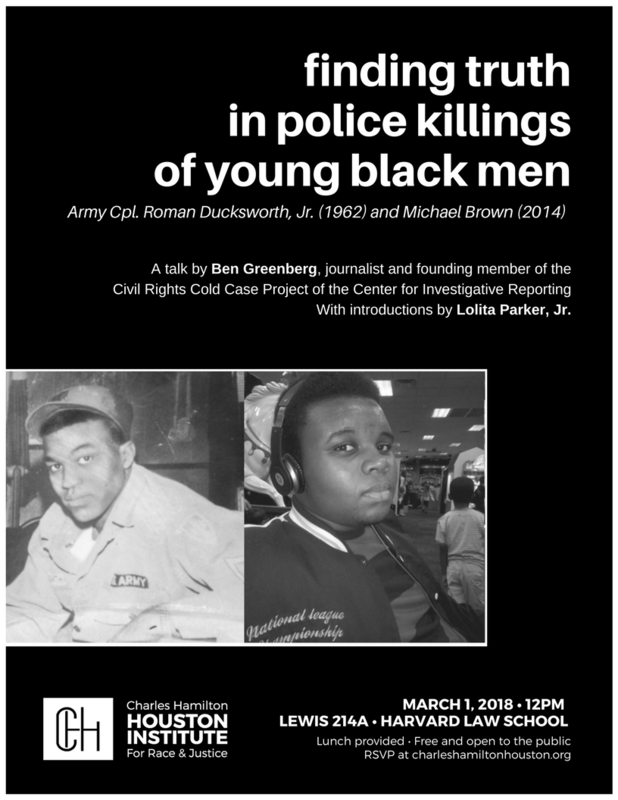 I had the honor of speaking in March at the Charles Hamilton Houston Institute for Race and Justice on the police killings of Army Cpl. Roman Ducksworth, Jr. in 1962 and Michael Brown, Jr. in 2014. The video of the talk is now online.